The Black Fashion Show Hypnoshine sunglasses featured on Kendall Jenner in the the advertising campaign. 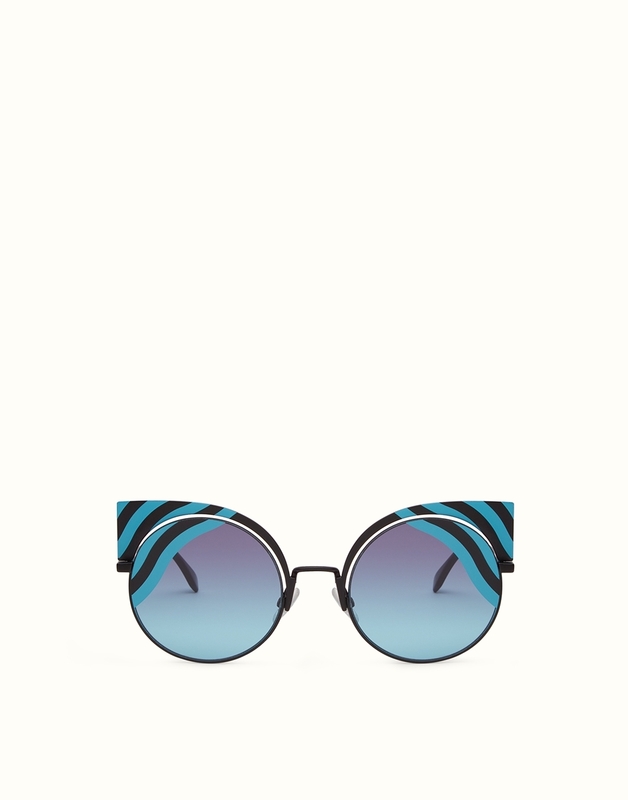 The rounded lenses are encircled by a metal cat's eye frame continuing the "glasses within the glasses" effect. The wavy turquoise print gives a distingct look and a vintage effect. Narrow temples engraved with the Fendi logo and tone-on-tone tips.